Research shows that effective population control measures are the need of the moment. Studies have also confirmed that birth rate is mainly responsible for rapid population growth, hence experts have endorsed family planning as one of the most effective measures to reduce birth rate. CHIOMA UMEHA writes. Worried by stock-out of contraceptive commodities and consumables, experts at the Performance Monitoring and Accountability (PMA) 2020, a recent family planning (FP) review, advocated increased funding for FP by state governments. 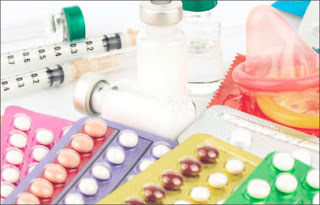 In view of high incidence of unplanned pregnancies, Funmi Olaolorun, the Co-Principal Investigator, PMA 2020, stressed that increased funding by state governments would tackle stock-out of contraceptive commodities and consumables in many states. According to Olaolorun, many women who are unable to access contraceptives at the FP clinics end up with unintended pregnancies following commodities out-of-stock. Many youths who are involved in such unplanned pregnancies procure illegal abortions as abortion is permitted under the laws of Nigeria only when the life of the mother is in danger as a result of the pregnancy; only then, can a medical abortion be done – to save the life of the mother. Unintended pregnancies are pregnancies that are mistimed and unplanned at the time of their conception. Unfortunately, many Nigerian teenagers, adolescents and married women find themselves with pregnancies that were never planned. Figures from the Nigerian Urban Reproductive Health Initiative (NURHI), it is estimated that 6.8 million pregnancies occur in Nigeria annually, and for every four of these pregnancies, one is unplanned. According to the World Health Organisation (WHO), a woman in developing nations including Nigeria dies of complications arising from an unsafe abortion every eight minutes. Every year, worldwide, about 42 million women with unintended pregnancies choose abortion, and nearly half of these procedures, approximately 20 million of them, are unsafe. Also, 68,000 women die from unsafe abortion annually, making it one of the leading causes of maternal mortality across the world. In Nigeria, unsafe abortion contributes 13 per cent of maternal deaths. Of the women who survive unsafe abortion, five million will suffer long-term health implications. Unsafe abortion is therefore a pressing public health issue, according to medical experts. Similarly, the Federal Ministry of Health (FMOH) statistics shows that more than one-third of all pregnancies in the country are unintended, and one in five end in abortion. In addition, the FMOH figures shows that two-thirds of unintended pregnancies occur among women who were not using any method of contraception. Presently, the contraceptive prevalent rate (CPR) of Nigerians in the reproductive age bracket is 15 per cent. What this means is that of the total number of women in this age bracket needing contraceptives only 15 per cent accesses and uptakes these live-saving commodities. Dr. Habeeb Salami, Assistant Director for Reproductive Health & Family Planning at the Pathfinder International, described the current CPR in the country as very low, bemoaning that this has been increasing unintended pregnancies, often resulting in unsafe abortions. Habeeb who is a medical doctor with a specialisation in obstetrics and gynecology, blamed many state governments for stock out of contraceptive commodities, adding that their lack of commitments to making FP commodities available all year round was at the centre of the problem. Habeeb said; “Federal Government procurers all FP commodities and sends them to the Central Stores; the state governments don’t pay. However, the set back is that the states are not able to buy consumables including cotton wools, gloves, all of which the providers need to deliver the services. The assistant director for Reproductive Health & Family Planning at the Pathfinder International, painted a picture of how citizens are denied the contraceptives which the Federal Government has provided free. He noted that there is need for budgets on consumables by local government councils and Primary Health Care Wards in Lagos state, adding that this will ensure that there is no out-of-stock.